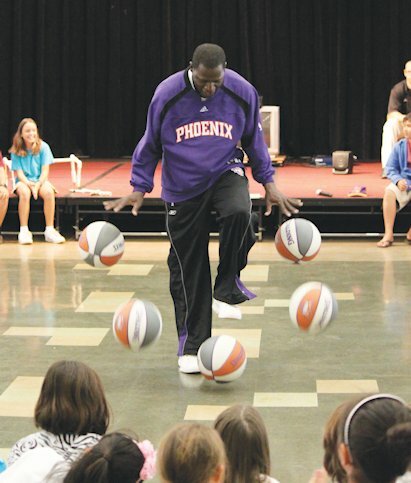 On Thursday, October 23rd, Joe "The Trick-Star" Odhiambo visited Wakelee School for a Good Character Assembly. This was a unique program that combined the excitement of basketball with life lessons in building good character. Joe shows the audience that they can succeed if they work hard enough through physical examples such as dribbling, ball spinning, and juggling.